• Audit Officer: 05 posts, Pay Scales: Rs.10300-34800 Grade Pay 4400/-, Age: 18-37 years. Age relaxation as per Punjab Govt. rules. 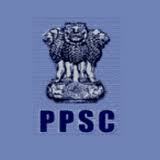 How to Apply : Application From complete in all respect along with the DD of Rs.200/- (Rs.50/- for SC/ ST/ BC) in favor of Secretary, Punjab Public Service Commission, should reach the office of Secretary, Punjab Public Service Commission, Patiala, Punjab latest by 5.00 PM on11/07/2012.